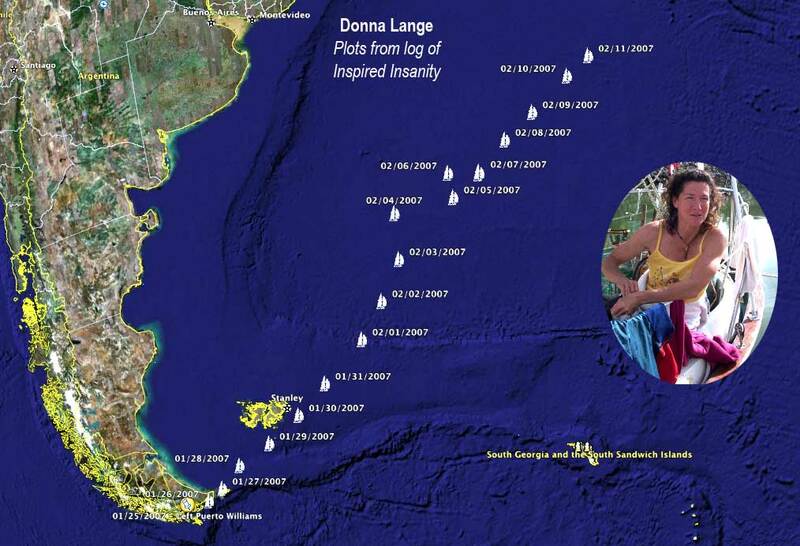 I’ve been posting Donna Lange updates into Google Earth since she started her solo sail toward Rhode Island from Cape Horn. If you are interested in seeing her progress, visit the Google Earth Community forum and look for Donna Lange in the Current Events section. (debated if it should go in a different section but by posting in this section it remains on the front page longer) Once you find the ‘post,’ you’ll have a chance to click the link that will either open the Google Earth program on your computer, if you have downloaded it, or use the Google Maps web site (less attractive IMHO) and bring up the plots in Google Maps. Either way the plots and log entries for each day will be there (click the position ‘pin’). 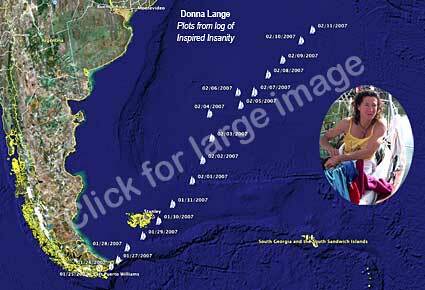 It’s a good way to stay abreast of Donna’s daily sailing progress and read her log.